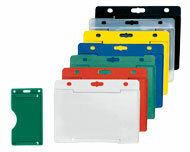 Rigid Plastic Badge Holders provide great protection and won't tear or fold. 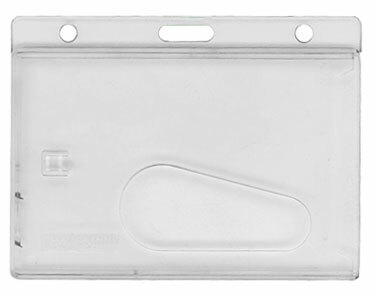 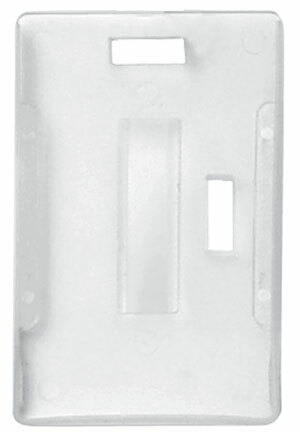 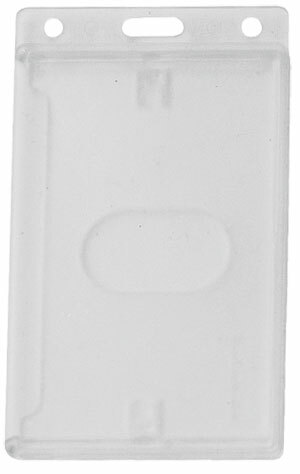 Our rigid plastic badge holders utilize a thumb notch cutout allowing for easy removal when IDs are frequently needed for use with access control or machine-readable systems. 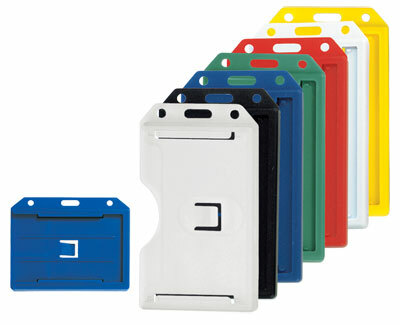 All of our rigid plastic badge holders are available in both vertical and horizontal formats. 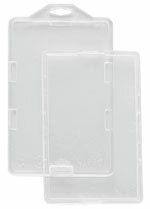 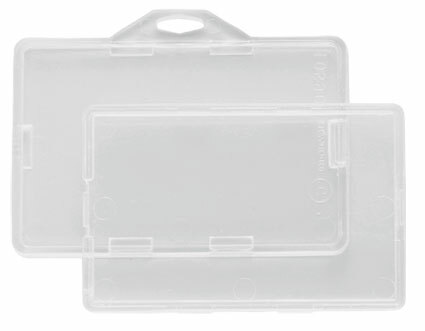 A number of our rigid plastic card holders are ideally suited as smart card badge holders because the rigid plastic case covers and protects the micro chip embedded in your smart cards. Removal of your card is easy, just push the card through the thumb notch cutout in the plastic holder. 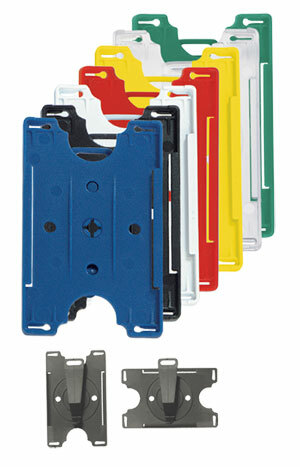 These make great smart card badge holders, especially for the CAC card! 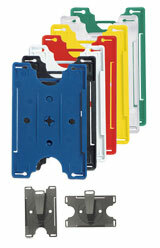 Both sides of your card are protected with minimal contact between the card and the smart card badge holder. 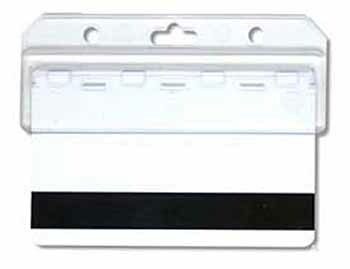 Accommodates credit card size: 2-1/8 x 3-3/8"